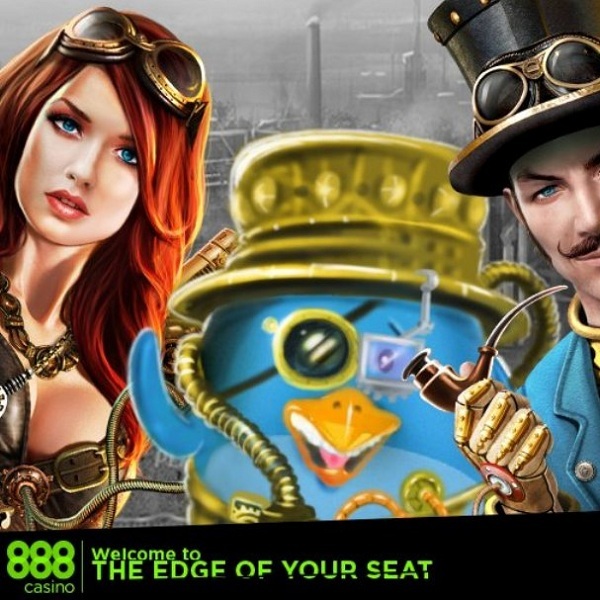 Fans of the steampunk genre who play at 888 Casino can enjoy a brand new slot called Steampunk Nation. It is a 5 reel, 25 payline slot set inside some kind of airship. On the reels are male and female characters, the airship, a top hat, a weapon and a clock. The game’s logo is wild and there is a landscape view of a city as the scatter. Whenever the wild helps to form a win the payout is doubled. The slot’s main bonus feature is a free spins round were players can win up to 50 free spins by landing enough scatter symbols on the reels. The slot is also linked to a random progressive jackpot which can be won at any time while playing but the chances are bet the higher the bet per spin.